Our wines are produced from varied sites carefully selected for their particular mix of varietal, topography, soil and microclimate – creating high quality, wines of individual character and drinkability. Attention to detail is key. Our aim in the vineyard is to ensure that vines are cropped low and managed sustainably, guaranteeing the best quality fruit possible from each vineyard site. These are exceptional wines from exceptional regions. 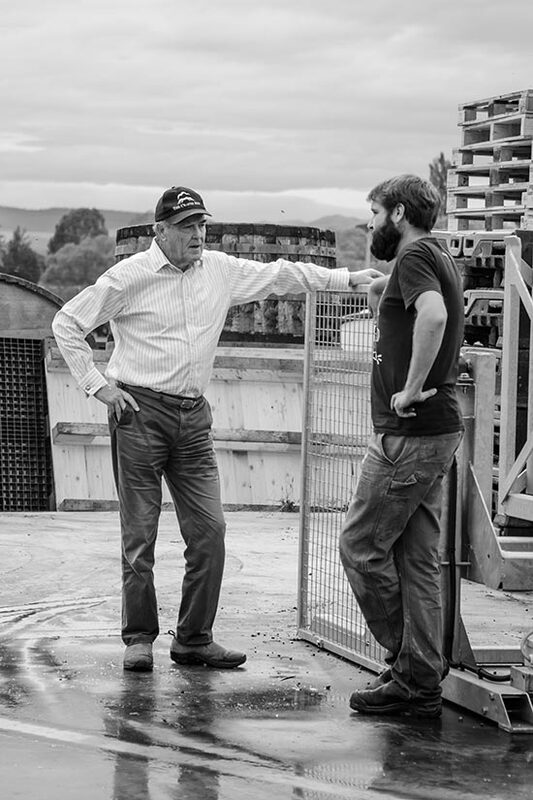 Since then, he has travelled the wine world, working vintages in a number of new world and old world regions – including two in Martinborough for Julicher Estate, the Okanagan Valley at the highly acclaimed Quail's Gate, Grant Burge in the Barossa and at Karl Joseph Loewen in the Mosel. Haydon also worked as the winemaker for Stéphane Montez in the Northern Rhone valley for two years. During this time he practiced traditional winemaking techniques, which have become the basis of his winemaking philosophy. Haydon's philosophy in the winery is based on creating wines of character and quality through a policy of watchful, non-interventionist winemaking. He uses a combination of new and traditional techniques and technology to allow the fruit to become wine. Haydon focuses on allowing the vineyard character to shine through to produce complete, balanced and unique wines – this is reflected in The Crater Rim's aim to produce a range of wines from each of the varieties and sites in our range.